Passengers at Frankfurt International Airport have the highest adoption rate of mobile-boarding passes of all six major airport hubs included in the 2011 SITA/Air Transport World Passenger Self-Service Survey with 37% of Frankfurt respondents having used a mobile boarding pass at least once compared to 17% worldwide. This is due to a combination of high service availability and the fact that the number of smartphones carried by passengers has more than doubled in Frankfurt in the past year, jumping to 54% of interviewed passengers compared to just 24% in the previous year's survey. A further 40% of passengers carried ordinary mobile phones. At Frankfurt, the smartphone is now a critical travel tool for 84% of business and first class passengers, and 89% of frequent flyers who take more than ten flights per year; 63% of business and first class passengers, and 58% of frequent flyers, had boarded with a mobile boarding pass at least once. 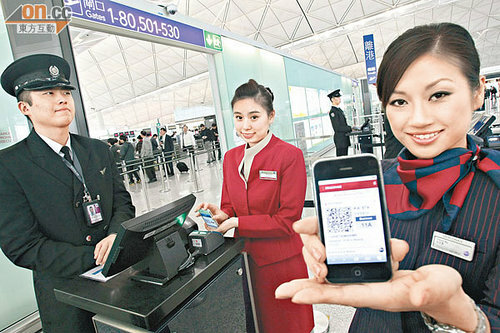 The rising influence of the smartphone is a key finding from the 6th annual SITA/Air Transport World Passenger Self-Service Survey carried out with a representative sample of the 283.5 million passengers who pass through six of the world's leading airport hubs: Abu Dhabi International Airport, Beijing International Airport; Frankfurt International Airport; Hartsfield-Jackson, Atlanta; Chhatrapati Shivaji International Airport, Mumbai; and Sao Paulo Guarulhos. Reflecting a worldwide trend, Frankfurt passengers are interested in receiving trip-related information on a smartphone with 67% requesting information on gate changes; wait times at security, 42%; time to departure gate, 42%; and at Frankfurt, 23% of passengers would be willing to pay for such services. Passengers interest in mobile access to information such as flight status, parking availability and shopping facilities is further evidenced by the immediate success of the FRA AIRPORT app for iPhone users, which the airport launched in early August 2011 and which was downloaded 27,000 times in the first two months. Self-service check-in at Frankfurt increased by 50% in one year, jumping from 41% in 2010 to 60% in 2011. Use of the 73 SITA-installed Common-Use Self-Service (CUSS) kiosks is particularly popular, whether in Terminals 1 and 2 or the AIRail Terminal. 36% of passengers interviewed at Frankfurt Airport used a kiosk to check-in, compared to a kiosk-use rate of 28.5% in the survey overall. While use of established self-service channels continues to grow, new self-service channels such as mobile check-in (24%) and self-boarding gates (37%) are being rapidly adopted. Some 31% of smartphone holders report using mobile check-in frequently or occasionally while 36% of first and business class passengers do so. Boris Padovan, SITA Regional Vice President for East and Central Europe, said: "The Frankfurt experience clearly demonstrates that wide availability of multiple self-service options is key to passenger adoption. 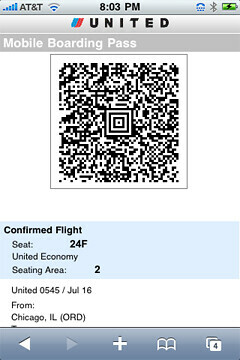 In other words, if it's readily available passengers will use it."